YouTube looks to expand their service, EA wants to be the Netflix of gaming, and gaming disorder is deemed an official addiction by the World Health Organization in this weeks TPOI. During VidCon, the multi-genre online video conference held annually in Southern California, YouTube announced new tools that will help creators generate revenue from their videos outside of traditional advertising, as well as serve to better engage their fans, as reported by Deadline. The rollout includes channel memberships, merchandising, marketing partnerships via FameBit and the launch of “Premieres,” which offers a middle ground between pre-recorded, edited video and live streaming. While the new YouTube offerings don’t differ much from what other streaming services offer their creators, i.e. Twitch, The Next Web noted that the additions could still help alleviate problems the platform has been facing. 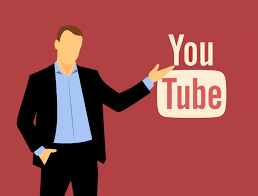 TechCrunch commented that the announcements have come at a critical time for YouTube, as Facebook is fiercely competition for creator attention. Following EA’s announcements at E3 last week, a number of journalists including CNET’s Ian Sherr and Variety’s Brian Crecente received hands-on demos of the publisher’s cloud gaming service, which the company says allows gamers to play high-end games on low-end laptops, and in some cases even phones. Neither Sherr or Crecente commented on their personal experiences with the service, but both noted that this isn’t the first time a games company has tried their hand at game streaming. VentureBeat added that the move to “cloud gaming” is the beginning of the company removing itself from third-party platforms like Xbox One and PlayStation 4, and that Ubisoft is making moves to create a similar service. On Monday, the World Health Organization released its International Classification of Diseases in which the United Nations agency concluded that “gaming disorder” is officially a new addiction. The LA Times published a Q+A which outlines the effects of the new designation, which includes notes that in the United States it now means health insurance can be billed against “gaming disorder”. To this end The New York Times reported that the designation may help affected players seek treatment, as therapists may be encouraged to provide specialized treatment. However, Polygon’s article on the news included contrary positioning from mental health professionals who fear that the likely downsides of codifying gaming addiction in this way would far outweigh any potential benefits.